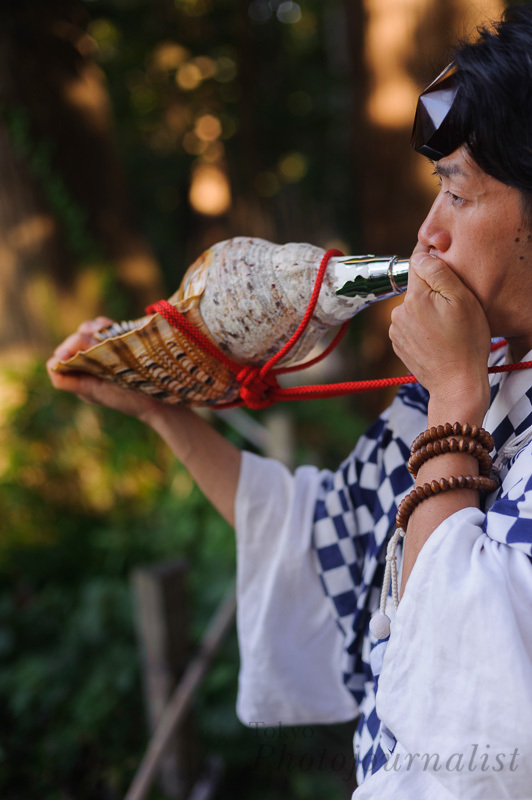 Yamabushi Masanori Naruse blowing a conch shell horn, Mt Haguro, Dewa Sanzan, Tsuruoka-city, Yamagata Prefecture, Japan, October 16, 2012. This entry was posted on Monday, January 14th, 2013 at 6:16 am. It is filed under . You can follow any responses to this entry through the RSS 2.0 feed. You can leave a response or trackback from your own site.